Fewer than a dozen homes lined what was once known as Glen Airy Place in the North Hyde Park neighborhood, but the street still retains a tucked-away quality that sets it apart from other streets around it. Reader Dale Ealey recently asked what history is known about this unique block. 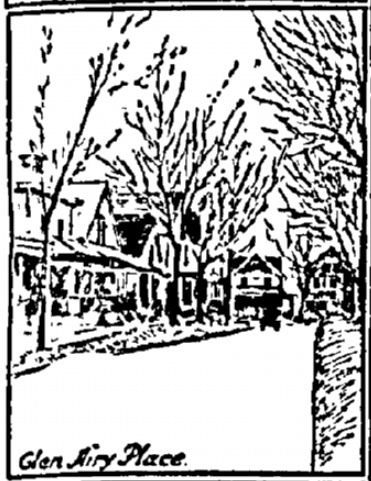 A 1920 Kansas City Star article pointed out the unique characteristics of Gen Airy Place and a handful of other small, tucked away streets. 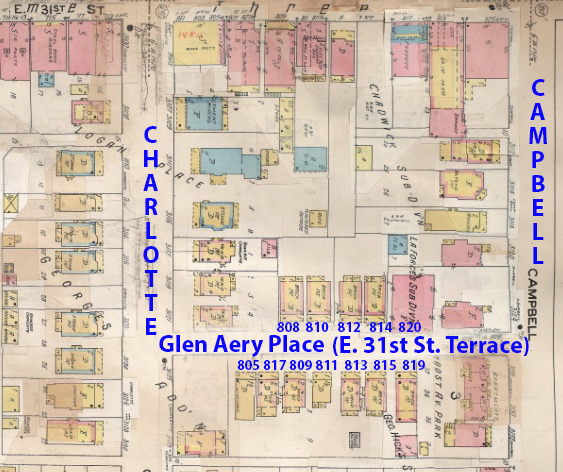 Glen Airy Place stood between Charlotte and Campbell Streets between 31st Street and Linwood. Its name was changed to the more generic 31st Street Terrace in 1933, the year that Kansas City standardized street names. As part of our Uncovering History Project, the Midtown KC Post is taking a look at each block in Midtown, including a set of 1940 tax assessment photos which is available for many blocks. (Many people seem confused by the tax assessment photos, which all include a man holding a sign. Here’s the story behind them). 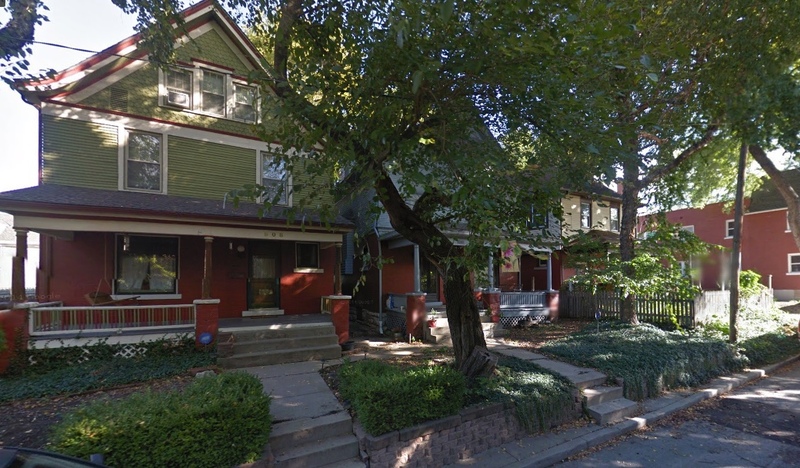 Today the focus is on E. 31st Street Terrace between Charlotte and Campbell, a street formerly known as Glen Airy Place. The homes on the north side of Glen Airy Place in 1940, 808, 810, 812 and 814. The Cowherd Brothers, who erected many homes across Midtown, built the seven-room brick and frame home at 815 Glen Airy in 1904 and put it up for rent. One of the better-know early residents of the street was Irish immigrant George C. Johnson, who lived at 812 Glen Airy. Well-known for his civic engagement, many were surprised when Johnson took advantage of a new immigration law in 1911 to actually become a citizen – something he had not been aware he needed to do. “After living in America sixty-two years, in which time he voted many times, held public office and had been the principal of a city school, George C. Johnson of 812 Glen Airy Place was in the United States Circuit Court this morning as an applicant for naturalization,” The Kansas City Star reported on June 26, 1911. “One of the witnesses in court to testify to his good character was E.E. Aleshire, who once challenged Mr. Johnson’s very right as a voter and thereby apprised him of the fact that he was not a citizen of the United States. “Mr. Johnson was brought to this country from Ireland by his mother in 1849, when he was 5 years old. By the time he had grown to manhood he had become so thoroughly Americanized that it never occurred to him that he lacked any of the rights and privileges of nativity. He took an active interest in politics, voted in all elections and became an educator. In 1880 he was a resident of Stanberry, Mo. where he held the position of principal of the first grade school in that place, and afterward held public office there. At Stanberry he made the acquaintance of E. E. Aleshire, who, after more than a quarter of a century of friendship, was called upon to challenge Mr. Johnson’s right to register as a legal voter in Kansas City. On the south side of the street, the D.A. Rouner family lived at 805 Glen Airy for almost three decades. Mrs. Rouner was known for her record-setting large peaches. In 1911, she won a peach growing contest with her pair of Elbertas weighing twelve ounces each. She reminded people, however, that her peaches had been even larger the year before, when there was more rain. Across the street at 814 Glen Airy, retired plasterer F.L. Wallace made news when he decided to end his own life in 1910 ”by taking four and one-half grains of morphine. “He left notes explaining that he had taken the drug because he was tired of life and its accompanying pain and requesting that no coroner’s inquest be held. Wallace had been ill fourteen years. He is survived by a widow and four children,” reported the Kansas City Star March 10, 1910. The still-existing photos of the homes that faced Glen Aery Place from the south, numbers 805 -819. Never heard of Glen Airy neighborhood but this was a very interesting post about the neighbors! Are there any pictures of E. 32nd Terrace just the block east of Main? On the corner of E. 32nd & Main was a drugstore called Warner Plaza Drugs. Thank you for the information. Love it all.